In 2014 China launched its New-Style Urbanisation Plan (NUP). The Plan gave a new emphasis to environment and to the quality of urban development, and better urban-rural integration, while anticipating a continued increase in the ratio of people living in cities, which currently stands a little below 60%. The conference drew China scholars from many countries to Glasgow. Under Mao, economic re-construction and industrialisation were the main drivers in what was a largely poor and rural country, with over 80% of people living in the countryside. During the cultural revolution, which began in 1966, the numbers in cities actually dropped, as people were sent to rural areas for “re-education”. The period from 1978 to 1995 saw a dramatic shift to market-led urban growth as part of the major economic reform programme, though even by the early 1990s only a quarter of China’s people were city dwellers. Thereafter, globalisation saw a rapid increase in the migration of people into the cities, and the escalation of the scale of urban areas. The NUP took a critical look at the dramatic path that China has followed over the last generation. It recognised that there had been serious environmental costs, as anyone who has experienced the air pollution in Beijing or other big cities knows only too well. There are also concerns about water and food security – much of the north and inland areas are by nature quite dry, and there has been significant loss of agricultural land through conversion to urban use. Thus as China seeks a more sustainable path, people-centred urbanisation has become an important theme. These shifts set the context for the conference in Glasgow. The “urban villages” have played a key role in moving people from farms to cities. Urban villages are those places where land was classified as rural, and thus not owned by the central state. As cities spread, farmers in the vicinity and their local councils were able to develop land in an unregulated (and very financially rewarding) manner. The hukou system essentially tied many essential aspects of welfare to the work unit, and so rural migrants lacked full rights to urban residence. Many were able instead to get a place to sleep in the urban villages. This nexus between new arrivals and unregulated land for development beyond the traditional edge of the city has created perhaps the most dynamic real estate market in the world. As the distinguished American academic, John Logan, put it, “ordinary people seeking to take advantage of rapidly changing circumstances are the pioneers on the new urban frontier”. One of the aims of the NUP is to gain more formal control over this type of development. Thus, as a number of contributors to the conference noted, China’s urbanisation has been both top-down but also bottom-up. There is a complex set of relations between government bodies at different scales, and often close links between them and various special development corporation type bodies and private enterprises. But there is scope for local level influence, and not everywhere is equally centralised in the power structures. Weibin Liu gave a fascinating account of how an “anti-growth coalition” formed to contest redevelopment proposals for Hubei Village in the city of Shenzhen. He described the village as “a typical low grade heritage neighbourhood”, the kind of place where low rise traditional buildings are being swept away by new high rise apartments across China’s cities. Local architects and artists played a key role in mobilising support and providing professional know-how to make the case for conservation of the village. With some support from residents and local politicians some concessions were gained, though the coalition was fragile and soon broke up. Similar efforts have been staged over many years now to save the hutongs, the traditional, tightly-knit courtyards in Beijing. As is so often the case victories for conservation have been somewhat pyrrhic as the small scale, enclosed residential areas have become magnets for global tourism. 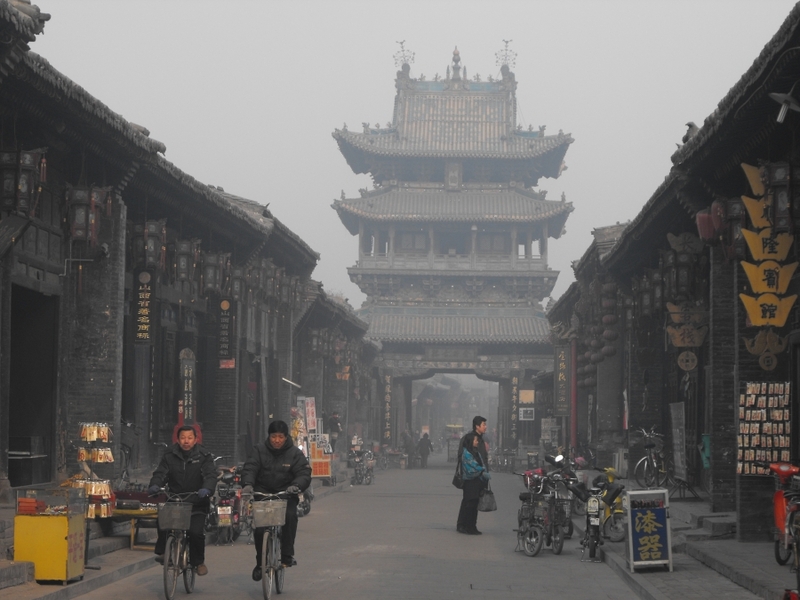 Yu Qiao is researching one such hutong where conservation planning was completed in 2012. Within it a historic building has been made into a museum that will also act as a centre to encourage public participation in conservation. Another presentation by Jinyun Guo looked at public participation in the city of Chengdu. It argued that pattern could be seen in who was able to participate: membership of the Communist Party, permanent residence rights, and a good income, along with age and gender, all influenced participation. Limei Zhang’s presentation suggested that social media will increasingly drive citizen involvement in the planning of China’s cities. There are many paradoxes in China’s urban story, and it is easy to Westerners to misread things or simply fail to keep up with the latest initiatives. Fulong Wu, for example, explained how the privatization of social housing has been followed by the return of the state in some estates where management had proven to be too expensive for residents and unattractive to private service providers. He explained how “Since housing privatization, the neighbourhood has deteriorated from a brand-new estate into an ‘old and dilapidated neighbourhood’ in less than 25 years.” It sounds rather like what happened to many UK high rise social housing areas between 1970 and the mid-1990s. In summary, China's breath-taking urbanisation has not yet run its course, and new directions are being pursued. The challenges are huge, both in forging a people-centred approach and turning round the negative environmental trajectory. Too often the detail of the policy making process at local level remains a black box: who within a provincial or city government really decides – or are the real decisions being taken elsewhere? Can Xi Jinping’s attempts to re-assert the role of the Party tame what has looked like the spontaneous development of the urban villages? Can the promotion of National Centre Cities, dispersed around the regions of this vast country help to narrow the gap between the coastal cities and the poorer inland regions, or will they simply draw more people out from their surrounding rural areas? How might the Belt and Road initiative impact in and beyond China on transport and urban growth? We don’t know the answers, but the value of conferences like this one in Glasgow is that they begin to clarify the questions.